Cardi B is back on the scene with her foot on everyone’s neck just one month after giving birth to baby Kutlture. 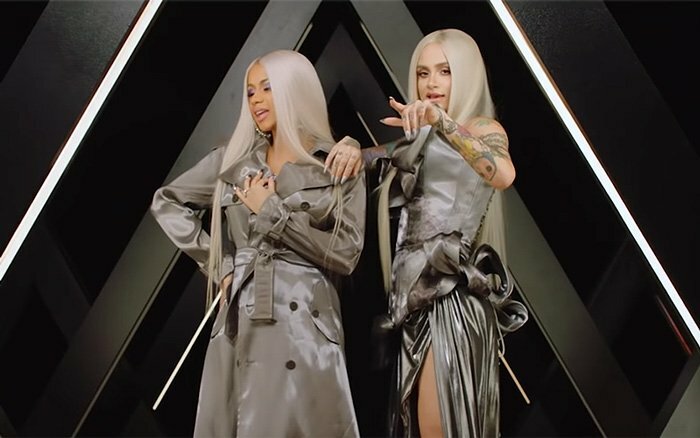 This morning Cardi B & Kehalni surprised us with the release of “Ring” music video that is off her platinum debut album, “Invasion of Privacy” she dropped earlier this year. This video is sure to have you click replay with its very unique visual twist with Cardi B being wrapped up in phoneline cords while Kehalni occupies the phone booth. Don’t forget to catch Cardi B with her first public appearance since giving birth Monday night opening up for the 2018 VMAs.